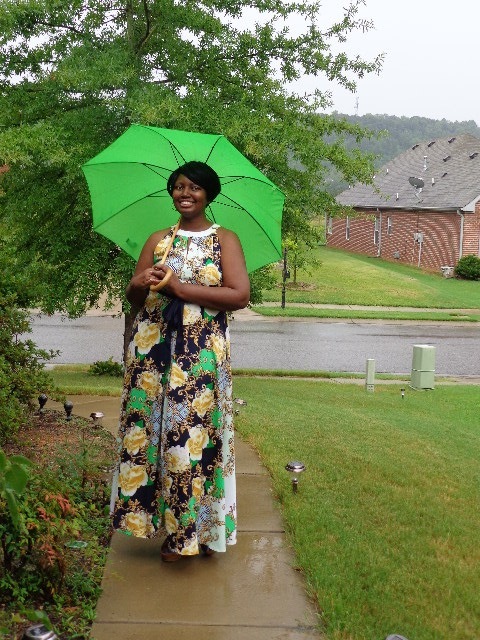 Sometimes the rain can cause you to change your plans and even your outfit. But this look is so effortless that not even the rain would keep me from wearing it. 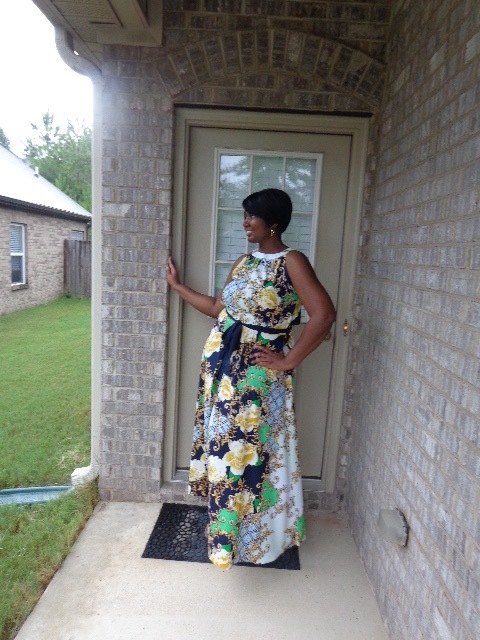 I love maxi dresses for a number of reasons and I wanted to share why you should too. 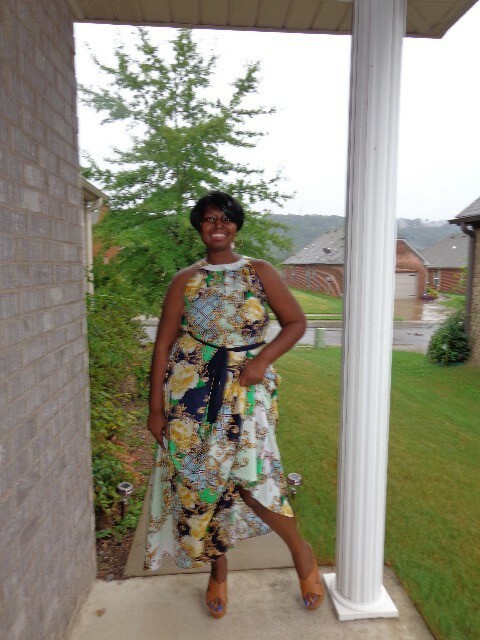 If you want to look chic but you are concerned about a few extra pounds, a maxi dress can camouflage your problem areas. Dresses scream I am woman anyway but the added length creates more of a feminine vibe. And while it is giving maximum coverage, the halter adds the right amount of drama. #1 They are supper comfy. Maxi dresses are the easiest thing to wear to look pulled together but still feel comfortable. Do you like maxi dresses? Why or why not? Show me how you wear it. Follow me on Instagram or Twitter and post your pics. What a lovely Maxi dress! I just love the bold colors of it. Thanks so much. I appreciate your comment. This maxi dress is so pretty. I agree with all of the benefits. They are my grab-and-go favorite. I love a good maxi dress. I love the pattern and the color, it looks really pretty on you. Thanks so much. I appreciate that. 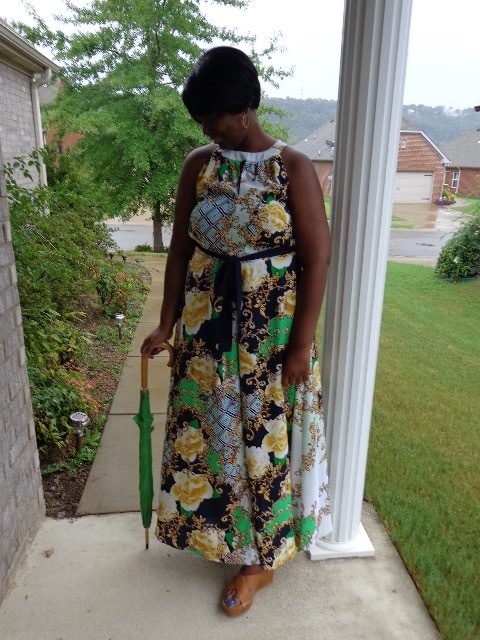 A good maxi is also in my arsenal and the pattern is so lively. I love that pattern of your dress and I love a good maxi. Especially the nice flowy cotton ones that are lightweight and not clingy. I know. I hate the clingy ones. They create more problems than they are worth! Thanks so much for stopping by and commenting! Glad you liked it. I love Maxi dresses for all the reasons you listed lol. This one is so pretty on you. Thanks so much. They are cute and functional. Maxi dresses are so comfy and pretty. This one looks good on you. Love the green! Thanks so much. They are my fav! I love a maxi dress for a lot of these reasons. Hello comfy and cute when in doubt its always cute to put on. I love maxi dresses! I seem to buy a handful every year because they’re so comfy. Yours is super cute. Thanks. The definitely come in handy! Thanks for stopping by and commenting!